Do we sell stretch tents? Most of our work comes from our clients hiring one or more of our Stretch Tents for a single event. However, for different reasons, some clients require a long-term structure or a tent for multiple events. Sometimes they need a more permanent solution to the problem of weather cover. As we wrote in last week’s blog, the English weather is a constant battle when you have an outdoor space, anyone who has ever hosted a barbecue will know this all too well! With that in mind, we can create a solution which combines outdoor and indoor spaces elegantly and beautifully. Over the years we have designed, installed and maintained bespoke stretch tents for a number of clients. 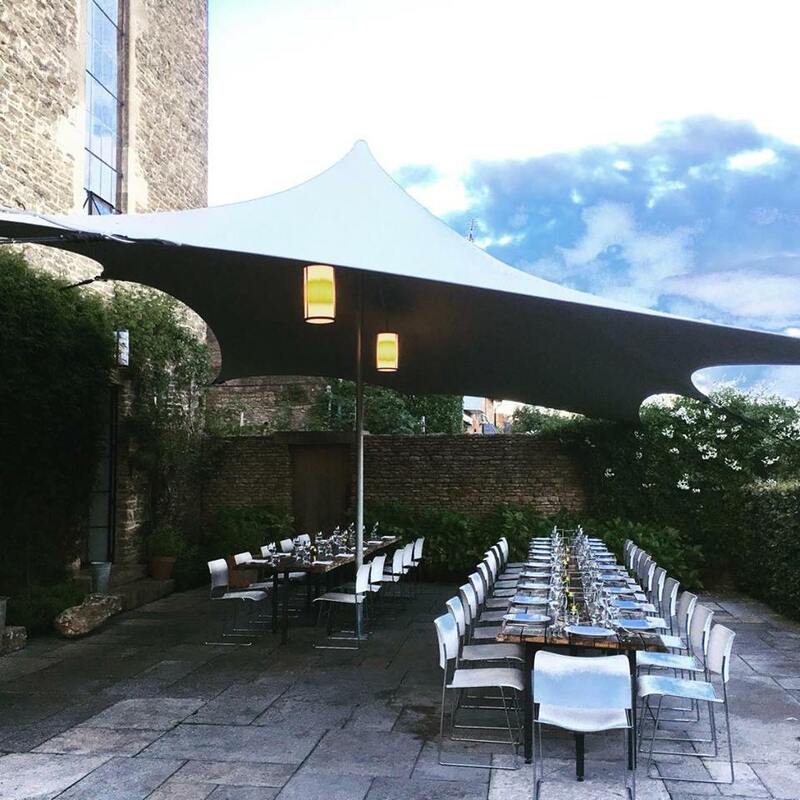 This is a great solution for bars, restaurants and clubs, as well as anyone who has an outdoor area they want to cover permanently. One of our experienced team will go through the whole process with you; from initial site visits and measurements, through the design and installation, and also the long-term maintenance of their stretch tent. Some clients want to buy a stretch tent, but rather than leaving it up for most of the year, they need it installed at a number of events. This is something we can also provide. Along with designing, the tent(s) to the client’s requirements, and setting it up for them at the events, we also supply storage in our warehouse, as well as cleaning and maintenance of the canopy itself as well as all of the rigging gear that is needed to set it up. If you are looking to purchase a new or second-hand stretch tent, please get in touch using our contact page to speak to one of our friendly team.